One of the reasons I enjoy hand-watering my plants is that it allows the opportunity to get up close and really notice how they’re doing. 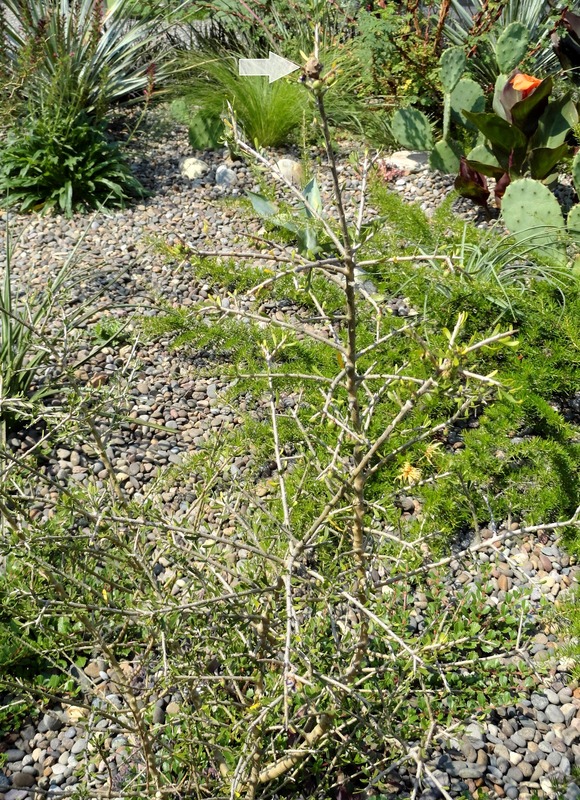 Last week I was watering the Hymenanthera alpina and noticed something odd at the top, next to the berries. My first instinct was to pop it off the plant, but the longer I started at it I realized how intricate and beautiful it was. That night when Andrew got home I drug him out to have a look. His curiosity was aroused and to the bookshelf he went. Nature left something else for me to find in the front garden. What’s your first reaction? Mine was that a neighborhood cat partied a little too hard last night and lost its cookies while stumbling home (or something like that). Is there some giant fungus under my garden that wants to work its way up to the light? Or just a sick animal with a great memory? I’d love to hear what you think is going on! So interesting to take the time to see what nature is doing! I love the grossness! It's both gross and fascinating isn't it? Wow that was fast, thanks Jamera! All that work for a single wasp baby - what a mother! The Dog Vomit Slime Mold (Jamera called it!) is interesting, but yes, gross. I agree, I can't get over the fact there is only one egg in there! 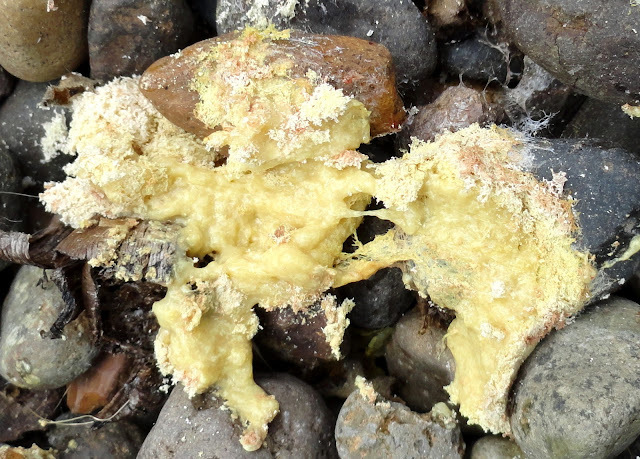 "Dog vomit slime mold." Has there ever been a more descriptive name? LOL. I'll be thinking of it all day long now. It certainly gives one an accurate picture of what the mold looks like doesn't it? Wow. Nasty!!! The wasp is super cool though. Seems intense work for one egg!! I hope I get to see it "hatch" or at least that the small nest isn't completely destroyed so I can look at the inside. As they should be! Please tell them that I only assumed there kind was to blame because there are cats running all over the neighborhood, where as the dogs are all inside or on leashes. Great find on the wasp nest. 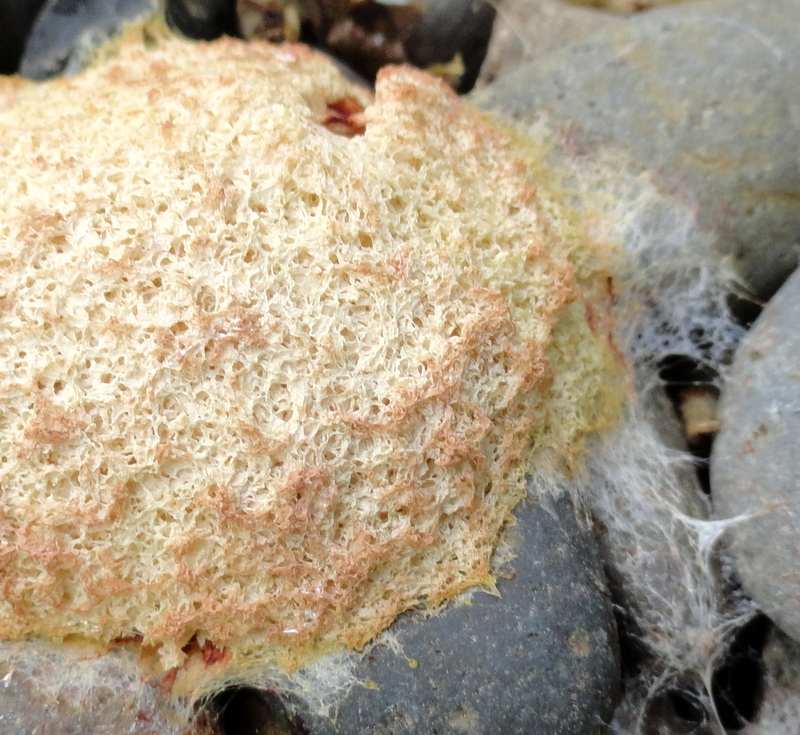 Cool stuff and yep, my first guess was slime mold but I had no clue there was one called 'Dog Vomit'. Toooo funny. I also hand water all my containers and there are usually more than three hundred of them, for the same reason you do. I like to see what is going on with each and every plant in the garden. Good thing I don't have acres to take care of. More than 300!!!!!! Wow...you've got me beat. Slime molds caused the great Irish potato famine, so if potato farming is how you make your income you might want to diversify. If I remember correctly they have a pretty neat cell structure. That's probably the biological equivalent of having a nice personality, though. No worries, I prefer to buy my potatoes at the market. Thanks for the warning though, in case I was considering it. I followed that link left by Jamera to find lots of info, but nothing about whether it is something you need to get rid of, and if so, how. Heather's comment about the potato famine has me worrying about what it might do to the other plants around it. I guess once you don your research hat you will figure it out. My still somewhat limited research says that I've got nothing to worry about. I haven't figured out exactly what the potato famine connection is but I hope to! 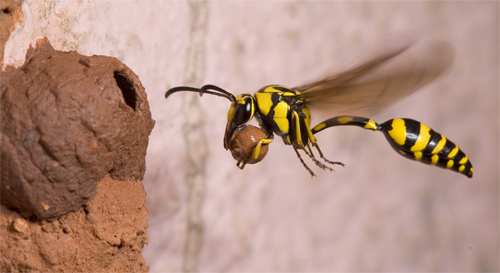 The Wasp nest is awesome and fascinating.......that is something I would keep in my yard too. Not to crazy about the dog barf. I'll pass on that in my yard. 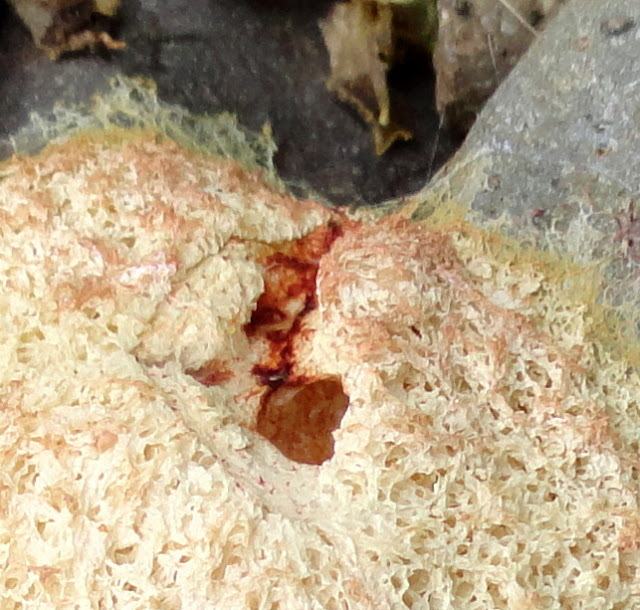 It looks like Dog Vomit Slime Mold. It's nasty, isn't it? :) And yet very cool. The worst part is stepping on it and trying to get it off your shoes....sometimes slipping. That was a nasty experience. Yuck! Since I tend to wear flip flops all summer that send a chill up my back! But doesn't "dog vomit slime mold" have a nice ring to it? Loree, I love your photo of the wasp borrowed or not. I love seeing bees and wasps in my garden, and have not been stung since high school.Feel bad for those who have allergy issues, they are wonderful creatures.